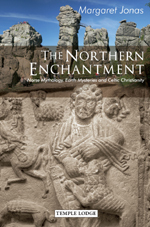 This fascinating work of accessible scholarship features chapters on Hyperborea, Thule and Apollo; the Druids and Odinic Mysteries; Norway and the Celtic Christian Legacy; the Number Five and the Etheric Body; the Externsteine and the God Vidar, and Finland. The book concludes with hints of a future time when northern magic will be transformed, and "... new clairvoyant faculties will be within the reach of all humanity". MARGARET JONAS was the librarian at Rudolf Steiner House, London, for many years, and has studied anthroposophy since 1975. Her special interests include history, religion, astrology, astronomy, literature, the Grail, psychology and states of consciousness.Â She is the author of The Templar Spirit and editor of an anthology by Rudolf Steiner on the subject. She has edited several other anthologies of Steiner's work and has written articles for various journals. She lives in Sussex, England, and has a son.